Ask a progressive what their most pressing political concerns are and you’ll likely hear transgender rights, gay and lesbian rights, income inequality, a living wage and the gender pay gap. You also might hear about the prison industrial complex that targets African American men on trumped up criminal charges, as well. This, apparently, is done to fill for-profit-prisons cells with the necessary chattel. That’s capitalism for you. At least, that’s capitalism according to some progressives. That Russian gulags and Cuban prisons are and were filled with people whose sole crime was questioning the legitimacy of leaders like Stalin or Fidel Castro (whose still dominating Cuba nearly 60 years after the revolution) is disregarded as a capitalist myth. 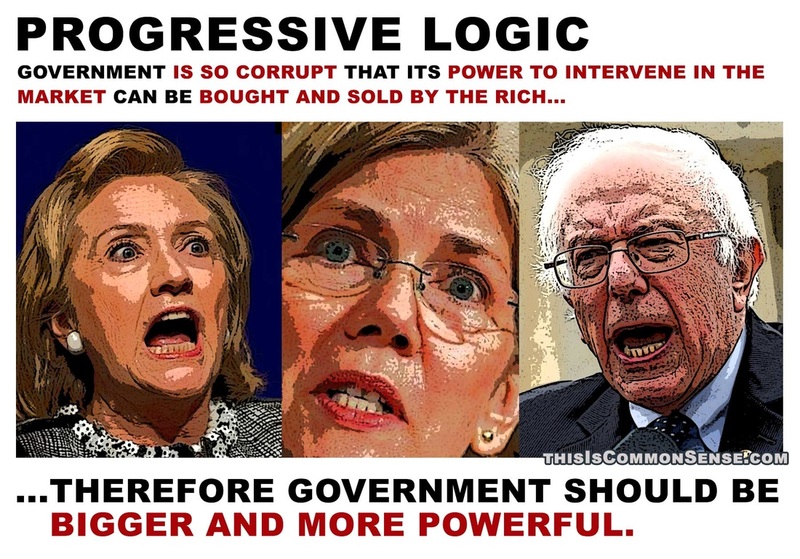 If that argument doesn’t work progressives will say “We didn’t mean that kind of socialism. We meant the Swedish kind.” Which is largely capitalistic, but hey, they’ve got legal weed and healthcare-kind-of-socialism. What more could you want? According to this worldview, America is one deeply messed up place. How could you see it otherwise if it’s even close to being true? There is always some truth in what’s being said. Not much, mind you, but for true believers, that’s more than enough. All the camel really needs is a nostril sized space and, before you know it, its whole body will be inside the tent. That’s why even a sliver of truth can be enough to change society. Often, for the worse. For instance, there really are many more Black men in prison than White, disproportionally so. About that, no one disagrees. According to the FBI’s statistics it’s because Black men commit far more crimes than Whites, and they do so in virtually every category. That’s according to president Obama’s FBI. Not George W. bush’s FBI. The progressive response to this is either that racism has created these pathological behaviors in Black men—or to deny that said pathologies exist at all. And, that this is really just an excuse for Whites to arrest Blacks, based on the need for bodies to fill corporate prisons. What could be worse for a progressive than the wedding of corporate power and racist prisons? Not even the Jim Crow South of the 1920’s was that bad. This debate about America the great or America the hideous goes on largely unbeknownst to many Americans living out there in the hinterlands. They may hear bits and pieces now and again, but generally, it gets chalked up to political loonies rabble rousing at the fringes of the culture. And, make no mistake, it is, but it’s moved much closer to the center of the debate. In fact, the Democratic Party is currently in a fight for its life as these loonies attempt a take-over of the party, with the party losing or winning, depending on one’s perspective. The reality is that the Democratic Party was infiltrated long ago by socialists and various neo-Marxist groups, right along with normal folk and disgruntled minorities of every stripe—some of which have perfectly legitimate complaints. It’s the solutions that are the point of debate. The Left’s primary tactic is to compel every outsider, every marginal figure to see the world through an “Us vs. Them” lens. This way they can hustle folks at the margin for votes, in exchange for some big payoff down the road. Grievance peddling and special rights and protections are offered as a reward for their loyalty. Each of these favored groups also becomes a constant reminder of America’s crimes, which is why they need reparations in the form of special rights and privileges. Only a big-money transference of wealth, will make up for America’s past sins, apparently. Money is always the root of all evil. But only if it’s in the wrong pockets. To start with, every minority group will need a good political makeover. Which is reasonable in some instances. Not so good in others. But, with relentless propaganda from the media—who’re overwhelmingly to the Left of Middle America, even a man dressed like a woman can be held aloft as a symbol of accomplishment—and even named the woman of the year. Likewise, every person with the right complexion and the right connection can be turned into a folk hero, even when they’re really just another thug and guilty as hell like Michael Brown. How do you explain their apparent thuggery? I know! Mr. and Mrs. America are to blame. Normalcy is also to blame and needs to be redefined, in order to make things fair. Where will it end? It won’t. Not until you have so many minorities that they become the majority. While still being minorities, of course. Without that, they’ve got nothing. So, a political party based on an oxymoronic philosophy of “Victim-hood = Power” is the life-blood for the progressive political machine. “We’re fighting for the little guy” is their mantra. If by little, you mean the great unwashed masses yearning to be free, while being smothered and then slowly crushed under the withering weight of an iron fist, carefully concealed by a velvet glove. Then, all you’ve got to do is whip them into a frenzy and let em loose. As a political strategy it makes sense. But only if your strategy is to divide and conquer. Today, Gay folk and Blacks, both of which certainly were treated badly in the past, are no longer happy to have a proportional say at the table. They want the table, the chairs, the silverware, the napkins—the whole shebang. At least, their proxies do, which isn’t the same thing, any more than most politicians actually represent the people. That’s why you have to get people to identify as the “Other.” The “Outsider.” The “Noble but righteous few.” There is power in being different, and who doesn’t love power? A quick perusal of transgender people, for instance, reveals numbers so small that they barely qualify as a statistical blip on the radar, unless you gin the numbers up to include anybody who’s ever worn vaguely androgynous clothing. As a former 70’s rocker I could’ve qualified back in the day. Using that criteria, the numbers jump from a measly three tenths of one percent, at best, to two or three out of ten. If you want to impact the debate you need big numbers, so lying, or engaging in a little numerical manipulation is necessary. Anyway, that’s where we are, diving headlong into a very confusing future of limitless government power, limited individual rights, while we all slowly circle the drain as a nation. It’s amazing what a good story can do, even if it’s based on half-truths, quarter-truths or slivers of half-truths strung together. As long as they form a compelling narrative, that can be enough. Say it loud enough, say it often, and people will repeat it until they know nothing else. And, like a weed it will grow, choking the life out of the soil until even the weed won’t grow.